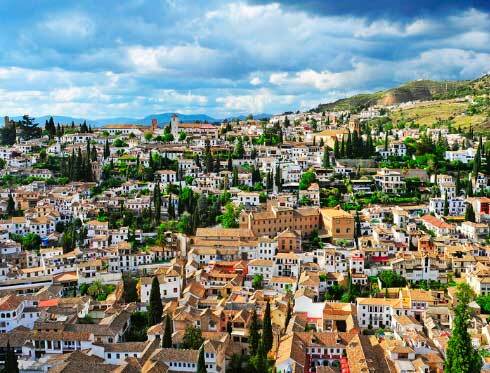 In the very heart of Granada we find Calle de las Teterias (Tea Houses Street), a corner renamed as the little Marrakech of Granada because of the smell of tea, the decoration of the tea houses and the little shops of clothes and accessories which transport you right to that city. Although this street is popularly known as Calle de las Teterias, its official name is Calle Caldereria Nueva. Its name comes from its origins since pots were manufactured and repaired there. Here we can also find a lot of different restaurants and shops where people can find decoration, clothes and accessories from Morocco. 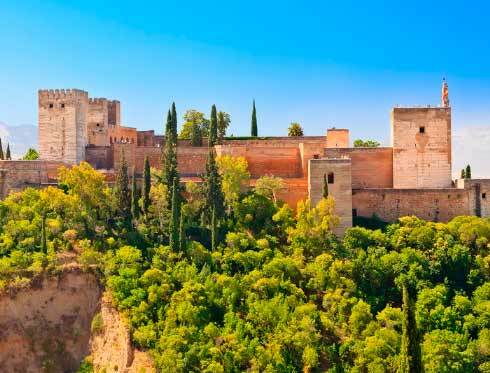 If you are a tea lover or you just want to learn more about the Arabian culture, take the official panoramic train of the city and get off at the stop number 6 of the Alhambra Route-Daytime or at the stop number 4 of The Alhambra Route-Nighttime (Plaza de San Miguel Bajo in both cases) and penetrate deep into this piece of Morocco. In this little street of the Albaicin you will find a unique multicultural atmosphere that will take you to Morocco, where preparing and having the tea is a moment to meet friends and family. The traditional Moorish tea is made of green tea and mint. This tea, apart from having a good taste, has a lot of health benefits: mint has anti-inflammatory effects and it is good for the digestive system, so why not having it after a delicious taste of couscous? Right there you will find restaurants which offer this typical dish. 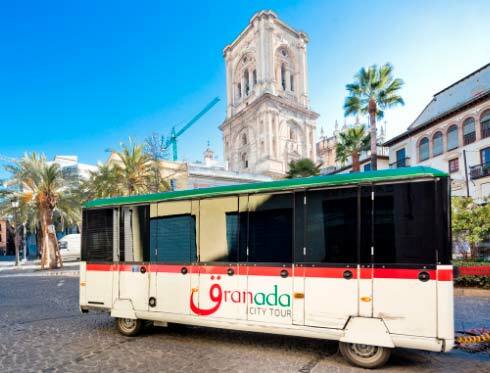 Use the hop-on hop-off service of the tourist train of Granada to get lost in corners as special as Calle de las Teterias.